Have you wondered what 5HF means? Want to learn the difference between Wellness Coalitions and Wellness Centers? Watch this short video and find out! 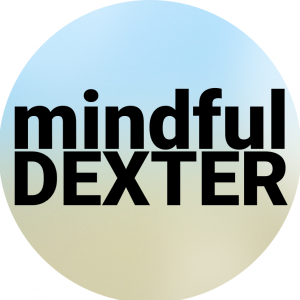 Mindful Dexter is a wellness initiative of the Dexter Wellness Coalition, offering FREE ongoing opportunities for anyone in the community to practice mindfulness meditation in a safe, friendly group setting. Sessions are held the 2nd Tuesday and Third Saturdays of the month and guided by experienced mindfulness practitioners/facilitators. The sessions have no religious affiliation and are appropriate for beginners as well as experienced meditators. All are welcome! All 5 Healthy Town Wellness Centers (Chelsea, Dexter, Manchester and Stockbridge) have scholarships available for those who may need assistance. To learn more about scholarships opportunities, please visit member services or call 734.214.0220 for more information. 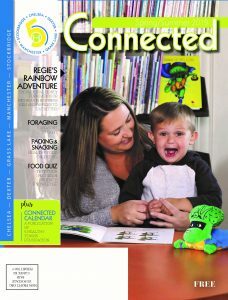 The latest edition of Connected will be in mailboxes starting next week! The Spring/Summer ’19 edition is all about food! National Kidney Foundation of Michigan talks about their new Regie program, you’ll learn how to forage, why herbs are so popular and more! You can read the magazine online here! Learn more about the many free programs and membership opportunities 5 Healthy Towns Foundation Wellness Centers bring to our communities. Click on the links above to take a virtual tour, get contact information and more! 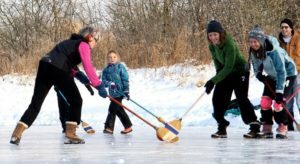 The people in our 5 Healthy Towns Eat Better, Move More, Avoid Unhealthy Substances and Connect with Others in Healthy Ways. Welcome to Jazzercise! Each 60-minute class includes a warm-up, 30-35 minute aerobic workout, muscle toning and strengthening segment with weights, and a stretch finale-all set to contemporary, fun music. Learn a variety of moves and techniques, including yoga, Pilates, jazz-dance, kickboxing, and proper breathing. All fitness levels are welcome. Wear comfortable clothes, good aerobic or cross-training shoes, and bring a water bottle and towel. Mats and weights are available. You can sign up and begin anytime. (Arrive 10 minutes early if registering on day of class.) Contact Laura at 517-416-2945 to register or with questions. 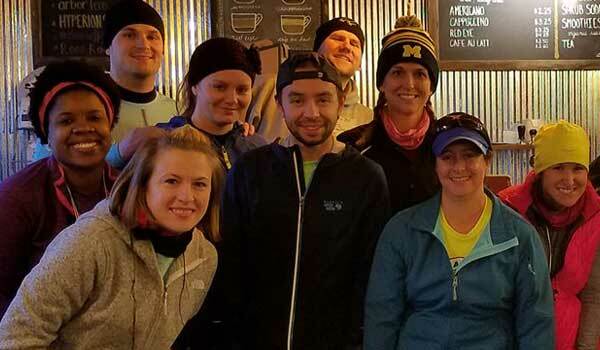 Join us for a fun group run, starting and ending from the Roaming Goat coffee shop. Meet at 7:50am and be ready to run at 8:00am. Runners received discounts on their coffee beverages! All levels welcome! We usually do a 3-4 mile route, but there are additional routes if you want to go for a longer run. that might be pertinent to the community. Meet in the Dexter Wellness Center Conference Room (2810 Baker Rd). All are welcome! 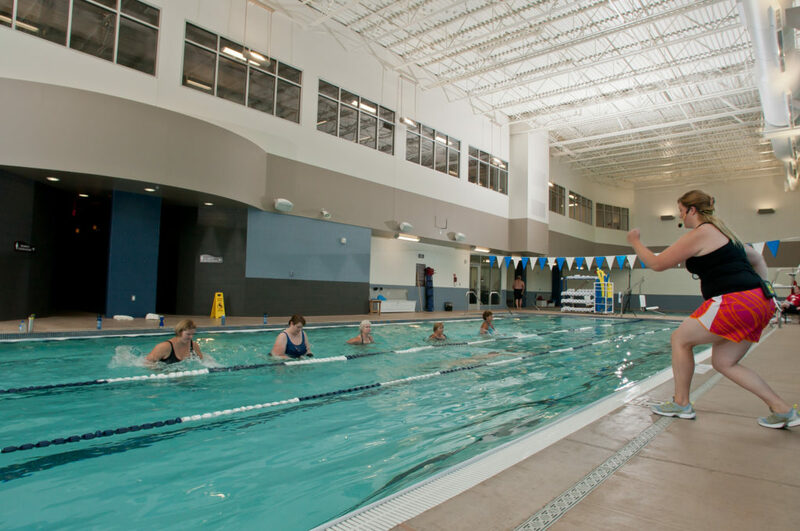 Join the Chelsea Seniors for swimming, water walking, or soaking in the hot tub on Monday through Friday from 6 – 10 am. This is a warm water pool with a depth of 5ft. No lifeguard. Call the Senior Center to sign up 475-9242. Cost is $3 per person – payment will be accepted at the front desk of the Comfort Inn. Free and open to the Public! 9:30 AM. Meet at the Manchester Wellness Center. 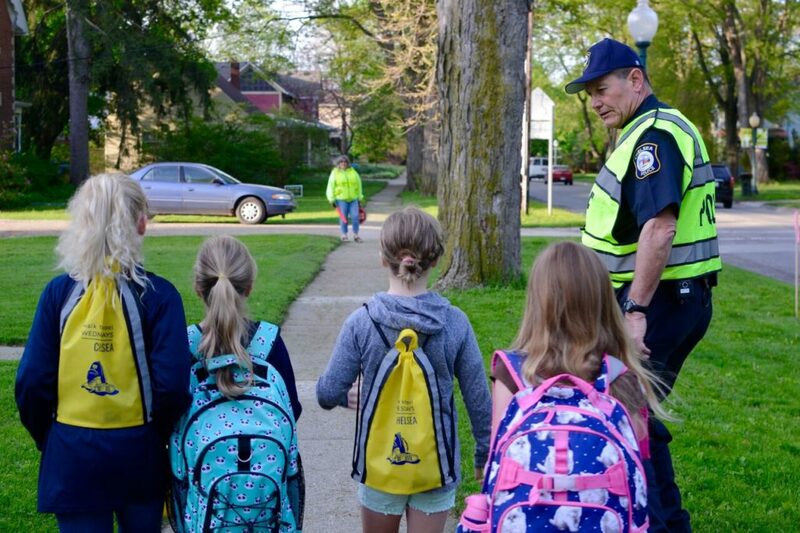 Join us as North Creek and South Meadows School students start the day on the right foot! Interested families meet at Chelsea District Library (South Meadows route) and Clocktower Commons Parking Lot (North Creek) at 7:30. Walking school buses leave for school at 7:35 am. 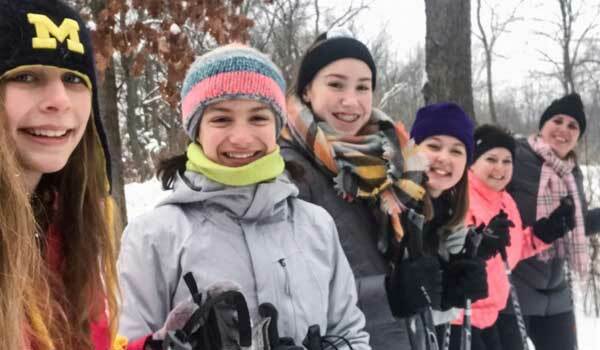 The only Wednesdays we do not walk is when school is cancelled. 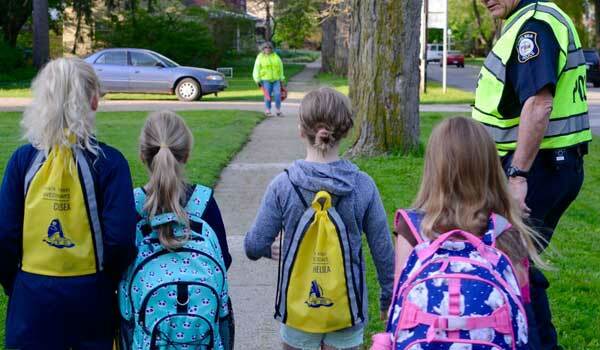 You can follow the latest Walk to School Wednesday information on the Chelsea Walk to School Wednesday Facebook page. Wear comfortable, loose fitting workout-style clothing and clean gym shoes. Grappling gloves and mouth guard are recommended. $5 donation recommended per class, 100% of the donations support Grass Lake Farmer’s Market. More information & cancellation updates can be found at grasslakeyoga.com. Visit our communities below to learn about their wellness plans, meeting schedules, contact information and more! These files are related to the Chelsea Wellness Coalition. You'll find meeting agendas and minutes, the comprehensive wellness plan, articles and more. These files are related to the Dexter Wellness Coalition. You'll find meeting agendas and minutes, the comprehensive wellness plan, articles and more. Join us twice a month for guided mindfulness meditation in a safe, positive, friendly group setting! Sessions are led by experienced mindfulness facilitators and have no religious affiliation. Appropriate for beginners as well as experienced meditators! 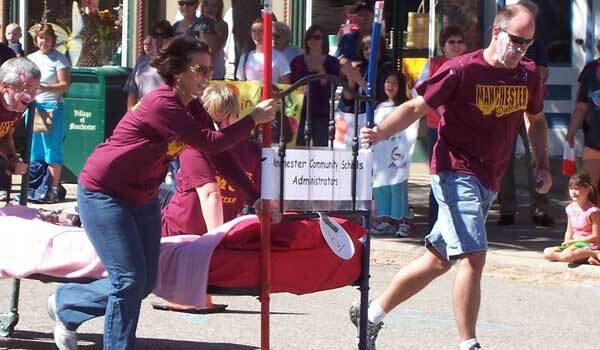 These files are related to the Grass Lake Wellness Coalition. You'll find meeting agendas and minutes, the comprehensive wellness plan, articles and more. These files are related to the Manchester Wellness Coalition. You'll find meeting agendas and minutes, the comprehensive wellness plan, articles and more. These files are related to the Stockbridge Wellness Coalition. You'll find meeting agendas and minutes, the comprehensive wellness plan, articles and more. 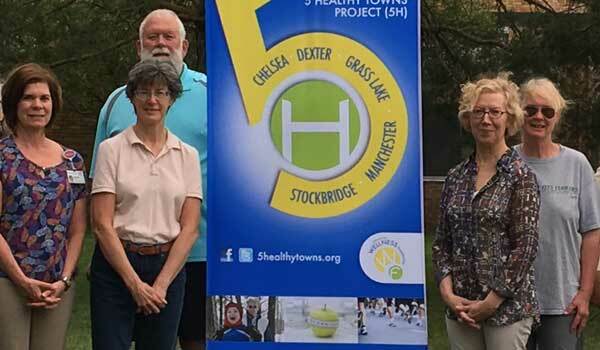 Collaboration between communities is one of the great benefits of the 5 Healthy Towns Project. People and organizations who haven’t interacted before are working together to provide wellness activities to their communities. By sharing ideas and resources, our 5 Healthy Towns are able to implement interventions that might be untenable otherwise.